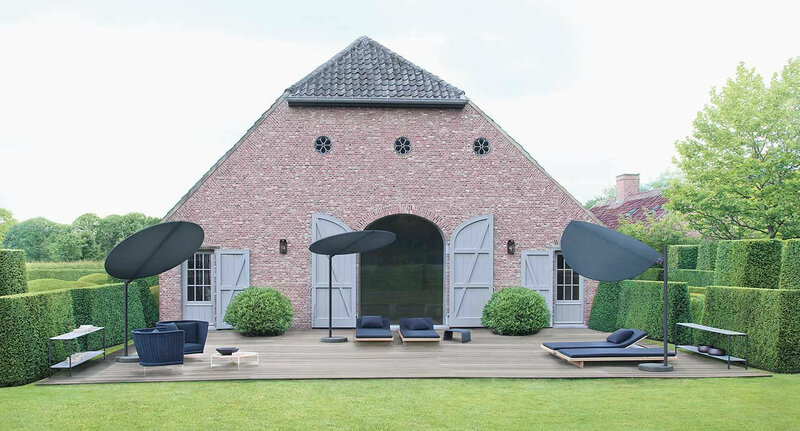 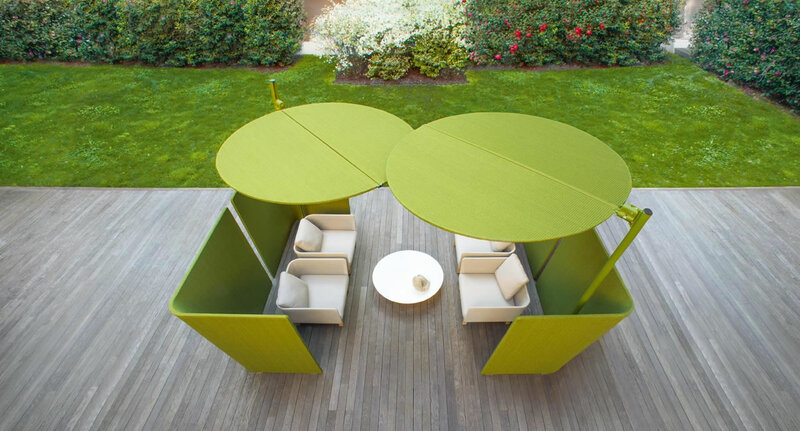 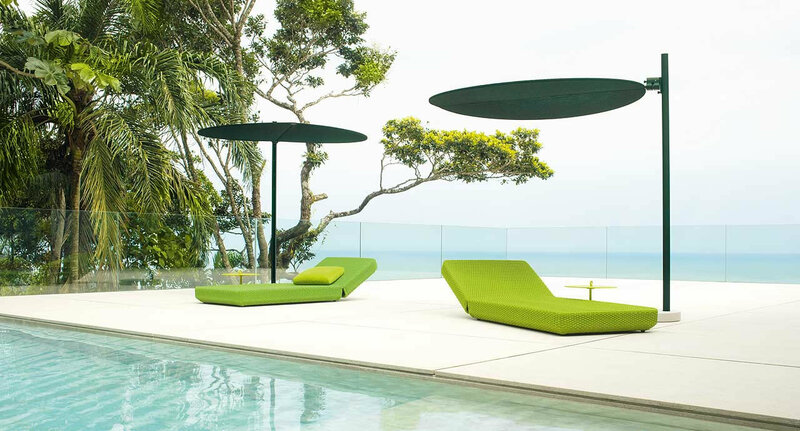 Sunshade with adjustable height formed by two independent semi-circles, which can be inclined and oriented differently. 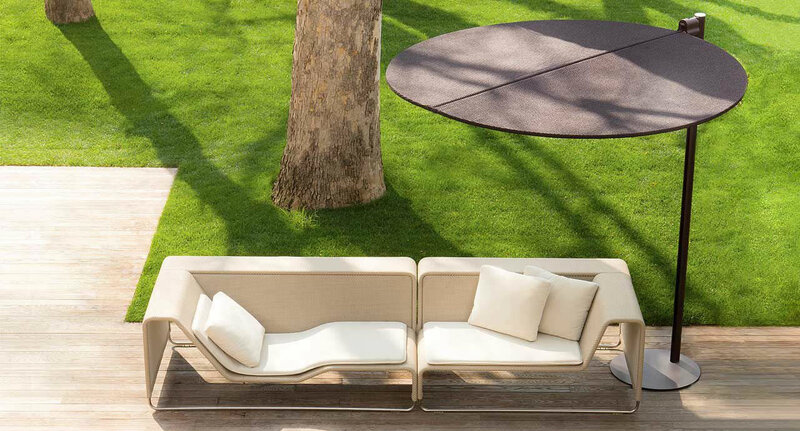 Structure: varnished aluminum, closing and regulating mechanism made of varnished aluminium and steel. 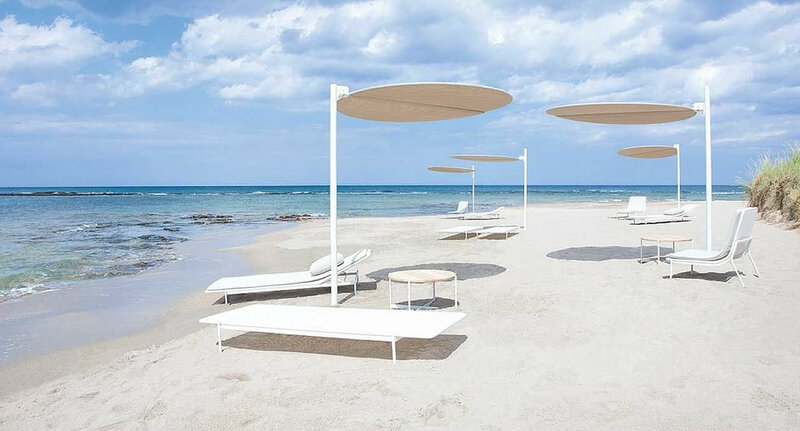 Sunshade upholstery: white polyester net or Thuia fabric.